Yes, Neapolitan pizza, and pretty much every observation you made is spot on except the seared scallops part. 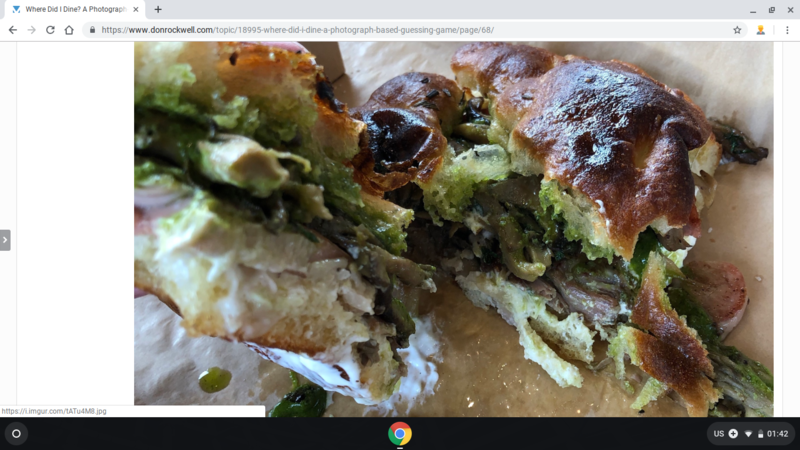 This is a panini with homemade porchetta and seared mushrooms, with salsa verde. A decent sandwich but oily…the salsa verde didn’t quite provide enough sharpness to cut through all the fat.